Things became serious when some concerning complications set on. I saw some specialists, spent a night in the hospital, then was sent home. If I could make it to the next week, I’d be a candidate for some promising interventions and medications. The worrisome symptoms persisted and it was clear the baby was coming soon. Nothing could be done. Knowing my baby couldn’t be saved, I spent a few sleepless nights pondering what I would need most in the days ahead. I wanted to have my baby at home, with my husband and midwives. I wanted to meet my baby, spending as much time together as possible. I wanted my daughters to meet and hold the sibling they’d been so excited to have. My heart desired to have every detail of my precious baby captured by photography, so I could have those images forever. I didn’t want to think about burying my baby, but briefly thought about what decisions would have to be made after birth. 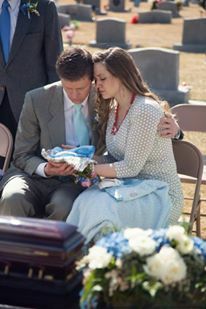 On March 9th, 2015, life changed forever for the Rawlins family. My labor began, intense and swift, exactly like my prior births, waking me from a deep sleep. The pain made it impossible to talk or to move. Within 40 minutes, my water broke. I dug my fingers into my husband’s scalp – the sensations of labor were overwhelming. I saw my midwife hurry in the door and put on her gloves just in time to receive my baby into her hands. It was all over in 42 minutes. For my husband and I, meeting the baby was exactly like greeting each of our other babies. Sweet, happy, mesmerizing and overflowing with love. We discovered we’d had a son and chose a name for him. After taking in his every detail, we welcomed his big sisters into the room. The tears began to flow and the pain of loss left our bodies aching. 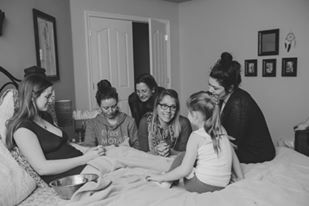 That evening, my TVM sisterhood came to my home and knelt around my bed, holding and loving Jesse just as proud aunties would. At one point, my husband counted 13 women surrounding me. The memory of that moment is one of the most meaningful points of light in such a profound loss. My midwives tended to me within the walls of my home. They laid in my bed with me while my husband took on the brave job of burial arrangements. My TVM sisters still choke up when they speak of what it was like to witness my family’s grief. 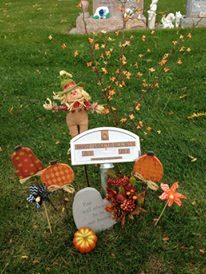 Jesse was buried at a cemetery in our hometown, where his grandparents can tend to his grave often. There was such peace as he was laid to rest. Sunshine warmed my cheeks and calmed my heart that afternoon. Later that spring, I returned to work. My clients were gracious and kind as I cared for them. I saw the surprise in their eyes as they realized I was no longer pregnant. We shared extra-tight farewell squeezes after I’d palpated their beautiful bellies and felt their precious babies move under my hands. My heart was filled with happiness each time I held a newborn. These tiny babies brought healing every day. The TVM clients were a joy to take care of. Midwifery was a perfect way to reintegrate my changed-self into the world. Oh, how each of your families have blessed my life! My family continues to heal. We miss Jesse and try to honor him in all we do. Thanks to my co-workers support, my husband stole me away for a “babymoon” vacation on Jesse’s due date. I had dreaded the due date, yet it ended up being filled with some lifelong dreams come true. Losing Jesse is the hardest thing I’ve ever experienced. Giving birth to Jesse was the most beautiful experience of my life. This was because of midwifery care. There is sadness, but no trauma. This is because of midwifery care. I am stronger, I love deeper, I appreciate more and I am a better midwife. This is because of midwifery care. I’ve cared for every woman experiencing a pregnancy loss at TVM since I returned to work this spring. What an honor to support them. How meaningful to truly understand the ways their hearts ached. I promised each of them that there would still be happiness. Initially, it would be hard to find. Then, it would feel strange to allow that happiness in. Later on, I warned, they’d catch themselves with a smile on their faces and be shocked. I love it when they send me a text to let me know they are doing well. I love sending them a text, letting them know I remember their babies. To each of you who have lost a baby in pregnancy, during birth or after birth, I honor you today. I remember you. I remember your babies. I remember your tears. I remember your desperation. I remember your broken heart. I remember the sweetness of seeing a smile on your face after such a long time. I remember laughing with you over things no other person would ever understand. I remember choking back tears as I watched you meet your rainbow baby. I remember placing my hand on yours when you felt anxious about hearing your new baby’s heart beat for the first time. I remember waiting outside the ultrasound room for you as you saw a new life in your womb, healthy and strong. I remember you every day. Your midwives remember you every day. We love you. We love your babies. We wish healing balm upon your hurting hearts. We honor you. Let the flame of love burn brightly in your souls, this day and always.